LAS VEGAS, March 14, 2018 (GLOBE NEWSWIRE) — Via OTC PR Wire — Adama Technologies Corp. (OTCQB:ADAC) announced today that they have been accepted and successfully up-listed to the OTCQB marketplace with OTC Markets. The company stated that they intend to keep the market readily updated of additional corporate updates via continued press updates as well as through the company’s social media channels. This release contains forward-looking statements that are based on beliefs of Adama Technologies Corp. management and reflect Adama Technologies Corp.’s current expectations as contemplated under section 27A of the Securities Act of 1933, as amended, and section 21E of the Securities and Exchange Act of 1934, as amended. When we use in this release the words “estimate,” “project,” “believe,” “anticipate,” “intend,” “expect,” “plan,” “predict,” “may,” “should,” “will,” “can,” the negative of these words, or such other variations thereon, or comparable terminology, are all intended to identify forward looking statements. 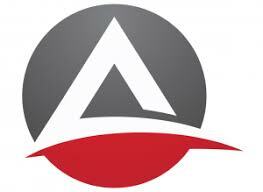 Such statements reflect the current views of Adama Technologies Corp. with respect to future events based on currently available information and are subject to numerous assumptions, risks and uncertainties, including but not limited to, risks and uncertainties pertaining to development of mining properties, changes in economic conditions and other risks, uncertainties and factors, which may cause the actual results, performance, or achievement expressed or implied by such forward looking statements to differ materially from the forward looking statements. The information contained in this press release is historical in nature, has not been updated, and is current only to the date shown in this press release. This information may no longer be accurate and therefore you should not rely on the information contained in this press release. To the extent permitted by law, Adama Technologies Corp. and its employees, agents and consultants exclude all liability for any loss or damage arising from the use of, or reliance on, any such information, whether or not caused by any negligent act or omission. This press release incorporates by reference the Company’s filings with the SEC including 10K, 10Q, 8K reports and other filings. Investors are encouraged to review all filings. There is no assurance Adama Technologies Corp. will identify projects of merit or if it will have sufficient financing to implement its business plan. There is no assurance that the Company’s due diligence on the potential acquisition of oil and gas assets will be favorable nor that definitive terms can be negotiated. Information in this release includes representations from the private companies referred to which has not been independently verified by the company. A downturn in oil prices would affect the potential profitability of the proposed acquisition negatively.